Keystone SmartWire Sign ballast wires exactly the same as traditional magnetic ballasts for seamless compatibility and installation. Wires exactly the same as traditional magnetic ballasts for seamless compatibility and installation. Lightweight: Weighs up to 50% less than heavy magnetic ballasts, providing easier transportation and installation. 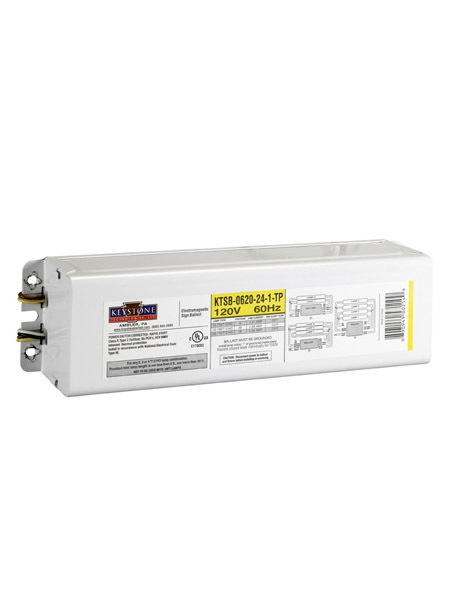 Enhanced Energy Efficiency: Delivers up to 15% savings over magnetic sign ballasts. Reduced Inventory: 15 magnetic sign ballast SKUs are replaced by 3 SmartWire electronic sign ballast SKUs for drastically reduced inventory. Versatility: Operates both T8HO and T12HO lamps. Multivolt Input: 120-277V prevents input voltage errors at the job site. Parallel wiring: Ensure the sign remains lit even when a single lamp fails. Optimal Energy Efficiency: the most efficient sign ballasts on the market.